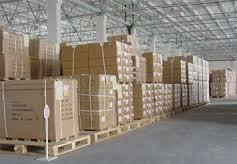 Our company has well established warehouse & packaging facility that is equipped with modern and latest technologies. This unit covers vast area for sufficient storage of our product range. Further, this unit is segregated into several divisions, so that products can be managed and retrieved easily. Apart from this, packaging is utmost significant to ensure the safe storage, transit and delivery of our products. Our products are packed using polythene wraps then stored into foam boxes and then finally placed into wooden crates. 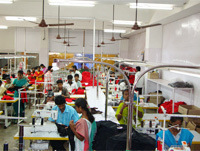 Our infrastructural facility setup in Karur (Tamil Nadu) has all the requisite machines and equipment to manufacture a range of Yoga and home textile items. A set up of the latest fabrication machinery and state- of- the- art technologies has enabled us to supply and export superior quality products according to consumers’ specifications. Our manufacturing unit has advance machines for stitching, lay cutting and other purposes, which ensure top quality products as per the international quality standards.